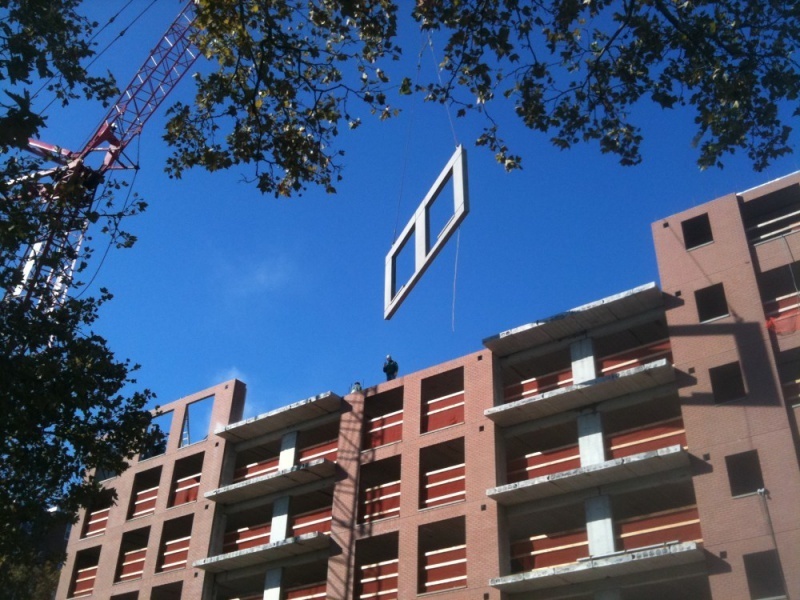 As part of Mayor Michael R. Bloomberg’s $7.5 billion New Housing Marketplace Plan to provide affordable housing for 500,000 New Yorkers, Oldcastle Infrastructure, A CRH Company, provided structural precast concrete building components for the new development at Forest Houses in New York. It is part of the largest municipal housing plan in the nation. The development at Forest House is a “green” precast concrete building containing 124 affordable units available to households making 60% of the area median income or less. The 109,000 square foot building was designed for energy savings, and also contains a superintendent’s unit, landscaped open space, and 43 underground parking spaces under the first level. 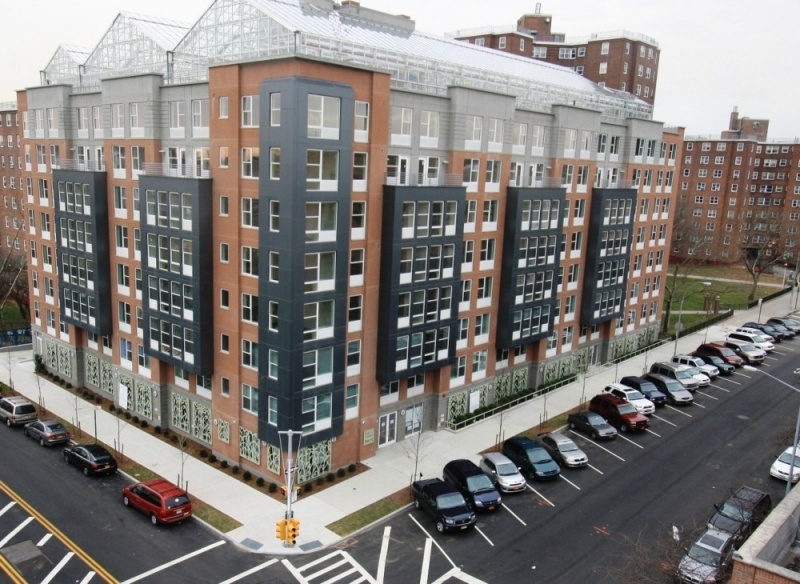 It also features a unique rooftop, commercial greenhouse that will yield 80,000 to 100,000 pounds of fresh produce a year and can be distributed to residents and local markets in the Bronx. Oldcastle Infrastructure, using their expertise in precast concrete structures, manufactured 136,162 square feet of precast concrete hollow core plank for the floors and roof, which was specifically design to handle the unique load of a roof top greenhouse and 70,000 square feet of precast concrete wall panels to construct an energy efficient building envelope for the eight-story Forest House Development building. The exterior precast walls were cast with thin-brick and sandblast type finish (via form liner) with colored concrete to provide a comprehensive exterior finish. In addition to the housing structure, Oldcastle Infrastructure manufactured and installed their StormCapture® Water Reuse System. The StormCapture Reuse System includes special retention tanks that handle approximately 16,000 gallons of captured water and an equipment package that treats the captured water making it available for irrigation to the roof-mounted hydroponic greenhouse, providing another unique feature to this environmentally friendly project. This is the fifth total precast concrete building solution that Blue Sea Development, the developer, and Oldcastle Infrastructure have worked together on in the past 10 years. Oldcastle Infrastructure worked closely with Blue Sea and ABS Architects, the project architect, early during the design phase to develop a cost effective solution that met all of the project requirements. The team was selected due to its history of developing quality affordable housing that is both attractive and sustainable. Learn more about collaborating early during the design phase and how all companies involved can benefit.